1.Uni-directional tread design with large shoulder blocks and center blocks are for maximum traction in tough road condition. 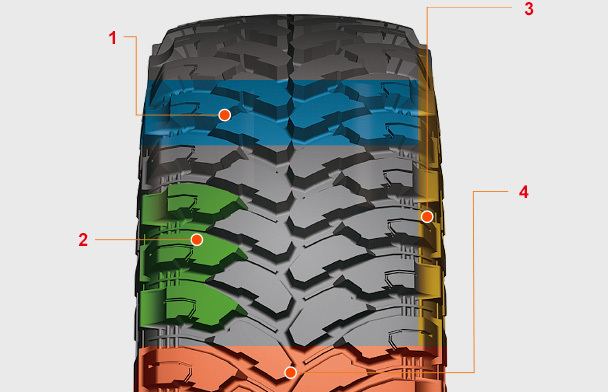 2.Uniq ue shoulder blocks, protection strip and 3D sidewall enhance traction in muddy and snowy conditions. 3.Shoulder designminimizes cut injury under severe road conditions. 4.Special compoundprovides strong tread and high tear resistance performance.